Vaprox offers a full line of tank battery dual pressure flares. These Systems utilize one flare assembly that attains 98% or greater VOC destruction efficiency for both low pressure tank vapor gas and high pressure emergency vent gas while complying with all state and federal air quality regulations. The dual pressure flare system eliminates the need for a second flare on your tank battery facility, thus reducing construction costs. All Vaprox systems are available in 12vdc and 120vac and come standard with an interchangeable ventilated (smokeless) stainless steel flare tip. Vaprox flares are designed to control liquids found in the waste gas stream with a scrubber pot located at the base completed with a liquid sight glass, level switch, and liquid evacuation pump (pneumatic diaphragm or electric). Vaprox’s unique retractable igniter assembly allows the operator to lower the igniter assembly to ground level for maintenance purposes without the cost and safety concerns associated with operating a man lift. You can be sure you’re getting the utmost quality and safety from our dual pressure flare by Vaprox. Dual pressure flare and oil flare systems are available with a variety of equipment options including continuous pilot, continuous or intermittent ignition, flow activated ignition, flow detection, mass flow measurement, flame detection via flame rod or thermocouple, data logging with SCADA reporting via RS485 Modbus, flame arrestors, and custom guy wire systems. With Vaprox, you know you are getting the highest quality flares available. With a variety of features available, you’re getting not only the best quality available but the most fully featured dual pressure flares on the market. If you have any questions about Vaprox and our products, please don’t hesitate to give us a call via our contact section on our website. Our staff will be happy to address any issues or concerns you have. 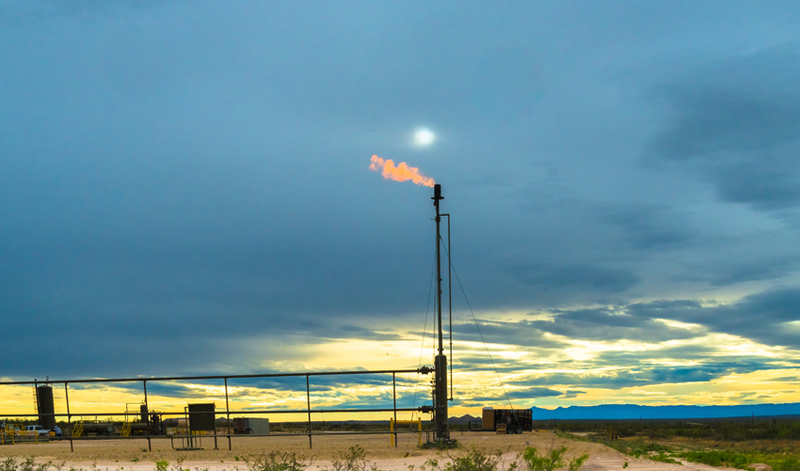 As a leading provider o single pressure flares, dual pressure flares, and many other types of oil and natural gas equipment, Vaprox is proud to offer quality equipment that isn’t available anywhere else. As you can see, our dual pressure flares are equipped with a multitude of features and equipment. All of these features and extra equipment are built with the same high quality you’ve come to expect from Vaprox. Your satisfaction is important to us, so we make sure that every product we ship and install is of the utmost quality and crafstmanship so that they will last for years to come. You may also be interested in the tank vapor combustor offered by Vaprox. We understand that you have a large number of options when it comes to your natural gas products, and we are appreciative that you are considering Vaprox. Your business is important to us, so please do not hesitate to let us know if you have any questions, comments, or concerns. We hope you will consider us in the future for all your natural gas equipment needs. Thank you for considering Vaprox for all your dual pressure flare needs.